Celebrating Women’s Transitions!? 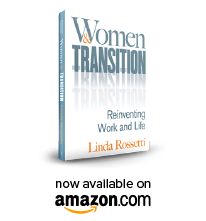 What are “women’s transitions” anyway? Before getting into today’s post…please look for our RSS Feed link on our site. I keep tweaking…all feedback is welcome! I have to tell you a story before getting underway — it guides how I approach today’s challenge. It starts with a guy, whose name I’ll change to Stewart. Stewart is an executive at Iron Mountain, an S&P 500 corporation. For the past four years I had the great pleasure of serving as Iron Mountain’s head of Human Resources and Administration. Stewart was a super, über “corporate guy.” I was usually entertained by his calculated moves. He was a corporate chess player “extraordinaire” – Ever met anyone like this? Anyway Stewart got me one day. I didn’t even see it coming. He agreed with me in a private very-critical “pre-meeting” on a topic. Then he set me up in front of the CEO in a more public meeting by changing his position 180 degrees. I should have seen it coming — I was just too exhausted to see it that day.